Romans 2:13 – Justified by the Law? How are we to interpret Romans 2:13? It is human nature to compare ourselves with others (“I’m not perfect, but at least I’m better than that guy”), but God shows no partiality (Rms 2:11). Some people sin without the law, others sin under the law, but “all have sinned and fallen short of the glory of God” (Rms 3:23). Two interpretations for the price of one! There are two ways to interpret Romans 2:13. The wrong way is, “if you do the law you will be justified.” This is an impossible challenge. Even if by some miracle you were able to keep the whole law from today onwards, how would you account for the sins of your past? But you don’t have to worry about that because there is no chance you would be able to keep the law anyway. Try and you’re guaranteed to fail. This is because the law has been divinely engineered to stimulate sin (Rms 5:20). If you are a sinner, the law will tell you what not to do and then create a desire to do exactly that! God never gave us the law so that we might know how to behave. He gave it so that we might have knowledge of sin and be silenced by guilt (Rms 3:19-20). 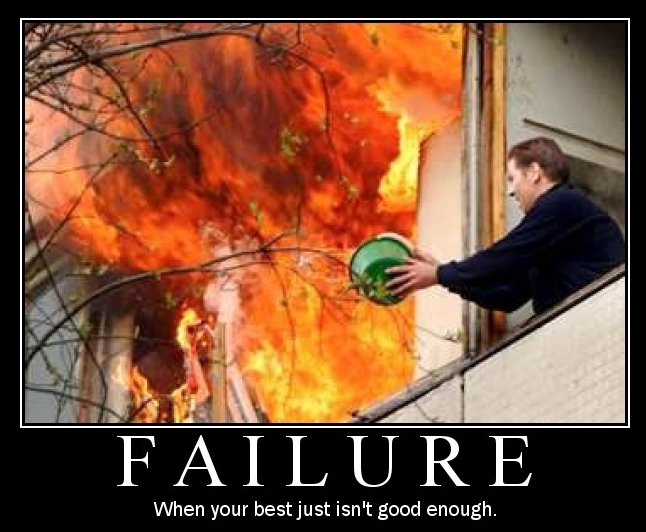 Why is failure the inevitable consequence of trying to do the right thing? Because the law is perfect and we’re not! We’re born sinners on account of first Adam. We’re not sinners because we sin; we sin because we’re operating in unprofitable flesh and living in a corrupt and polluted world! The law doesn’t generate sin, it merely reveals that we have a problem bigger than we can solve. To those under the law, Jesus preached the perfect law to accentuate imperfect humanity’s need for a perfect Savior. This is the exact same message that Paul preached. Like Jesus, Paul esteemed the law saying it was holy, righteous and good (Rms 7:12). But Paul never said we should try and live by it. If you try to earn favor with God by keeping the 10 Commandments, you’ve straight away broken the first one! No, the law was put in charge to lead us to Christ (Gal 2:24). And if you are honest with your law-keeping religion, this is exactly where you will end up. Jesus lived under the law, preached the law and ultimately fulfilled all the requirements of the law on our behalf. Jesus never broke the law and He never will. So guess what happens when you put your faith in Christ and allow Him to live through you? Without even trying you will find yourself keeping the law. Before you were born again (of the spirit) you sowed to the flesh and reaped corruption. No matter how hard you tried, you could not consistently live right.Your old man just couldn’t do it. But now you have new life – His life – complete with new desires – His desires. You’re no longer trying to become righteous; you have received Him and His righteousness. As you allow Him to express His life through yours, you will find everything you do is righteous because He is the vine and you are bearing His righteous fruit. Paul said, “the doers of the law shall be justified” knowing full well that no one – except those who are already justified – can do the law. How can imperfect man attain the perfect standard that God demands? He can’t. But Jesus can and has. He became for us wisdom from God – our righteousness, holiness and redemption. And by His perfect sacrifice this High Priest has made us “perfect forever” (Heb 10:14). 70 Comments on Romans 2:13 – Justified by the Law? You are wrong friend. “For the priesthood being changed, of necessity there is also a change of the law.” Heb.7:12 The small narrow gate into God’s kingdom is a law that has been added to the law. Therefore “It is not those who hear (this added law) who are righteous in God’s sight, but it is those who obey (this added law) who will be declared righteous.” “For the law was added so that the trespass (of Jesus’ crucifixion) has increased” by an addition to the law increasing the sin of crucifying him to the level of unilateral accountability. The only Way this law can be obeyed is by the faith of confessing directly to God that you are sorry Jesus life was lost by bloodshed when he was crucified and be baptized into this Way for the forgiveness of past sins. However it is only past sins that are forgivable. For if you refuse to obey God this Way you deliberately disobey a law that is not forgivable. Since Jesus cannot be crucified again there is no possibility of ever making a change of the law in regard to taking a life by bloodshed. Theodore – are you saying (1) sinless perfection is required of all Christians? and (2) since coming to Christ you personally have never sinned (including sins of omission and 100% of the old covenant laws)? There is no obedience,on our part that justifies any of us. This is made very clear in Romans 5:19. For as by one mans (Adam’s) disobedience many were made sinners,so by the obedience of one (Jesus) shall many be made righteous. The change in the priesthood that Hebrews 7:12 speaks of is explained in Hebrews 7:16 and 19. Hebrews 7:16 The new priest (Jesus) is made not after the law of a carnal commandment,but after the power of an endless life. Hebrews 7:19 For the law made nothing perfect,but the bringing in of a better hope did. These are but two statements among many,in the Bible,that show us that we are not justified by any of our works,but by his (Jesus’) works. It’s not my obedience that justifies me. It’s his (Jesus”) obedience that justifies me. Believe it and receive it in Jesus’ name,Amen. The narrow gate is another example of this very consistent theme in the Bible. The gate that Jesus is speaking about is the law. The gate of the city was where people received judgement. Jesus is saying,if you want to enter the Kingdom through the gate (by obeying the law) you are welcome to try. He then forewarns them that it is a very difficult way to enter as few will make it that way. In fact,none will. The only way to enter the Kingdom is through the door not the gate. Jesus is the door not the gate. The door and the gate are two different things,so once again we see the good news that it is not by works that we enter the kingdom but by grace. Jesus by having been murdered by crucifixion only perfected a small narrow door into God’s kingdom. Salvation is predicated upon the faith of using that door. “For it is not those who (just) hear the law who are righteous in God’s sight, but it is those who OBEY the law who will be declared righteous.” Rom. 2:13 Paul is referencing the door which is a law. No person has nor will be justified to escape from serving the penalty of eternal death who does not have the faith to use this door. That very few ever find the door is not an understatement. “Make every effort, on your part, to enter through the door.” There are no exceptions. No one “got it”, but you Theodore. I have never heard such a complicated nonsensical explanation. Like listening to someone trying to explain the trinity baloney. Not at all friend. What I have said is that the crucifixion of Jesus, a murder caused by bloodshed, has by an addition to the law been increased to the level of unilateral accountability. In Hebrews 6 there are two immutable things mentioned. One is an oath of God the other is an addition to the law. This oath is Gen. 9:5. “And for Your lifeblood I will surely demand an accounting. I will demand an accounting from every animal. And from each man too, I will demand an accounting for the life of his fellow man.” The crucifixion of Jesus since it caused the loss of a man’s life by bloodshed and only because a law has been added to the sin of crucifying him the set purpose of God for each man has been perfected. Each man to save himself must account directly to God in regard to Jesus’ life being lost by bloodshed by law or violate a law that cannot be forgiven. I don’t think you are an exception to the category of each man too, are you? I never heard anyone interpret the oath of Heb 6:17 as the commandment given to Noah. May I suggest that the oath in Heb 6:17 is the one mentioned four verses earlier, being the promise God made to Abraham. I don’t share your view that men can save themselves. Neither am I sorry that Jesus poured out His blood for the forgiveness of all my sins (Mt 26:28). Indeed, I am eternally grateful! Two immutable things. Both things are oaths that are promises made only to the Lord. Murder is an arrogant assumption of man, only God gives and takes life , murder is only a indication of your heart attitude and no more than that , you have taken nothing. God is a murderer? No he is not. God is not responsible for the death of people. God loves you so much he kills you? Come on! God is not in control of all that happens. And just to add to avoid assumptions on my comment , God has and never will take a life all life lost has been given, free will. But in Jesus even this has come to an end. Those that have him will not give it up , this is a great part of the good news. According to Jesus it it only a few that ever find what the gate into God’s kingdom actually is. And according to God even every animal is going to give him an account in regard to some man’s life that was lost by bloodshed. The animals have better sense than you. “through the flesh” is referencing an animal’s flesh. Sacrificing an animal in your place is not a sin. However sacrificing an man in your place is an entirely different matter for it is the sin of murder. Acts 7:52 And by approving of the murder of any of God’s prophets as a good thing a person makes himself just as guilty of that prophet’s murder as any of the actual perpetrators of the crime. This is reason Stephen referenced the prophets in Acts 7:52. Jesus Christ is classified as a prophet of God and “I am still not sorry Jesus came and died for my sins” is only approving of his murder as a good thing and claiming that his murder was a direct benefit for you is even worse. Jesus Christ did not die in anyone’s place. Saint Paul, awesome post. Have you rewritten it as you mentioned in follow up? One correction for it if you haven’t yet; “Life” The Normal Christian Life, not “Birth” is the name of the book by Watchman Née. To Theodore: 2 Cor.5:14 clearly shows that Christ died for all, but you clearly say the opposite when you said “Jesus Christ did not die for anyone.” I choose God’s account over yours. Hi Warren, I haven’t rewritten this yet, but I have now corrected the Nee title above. Thanks. The law Paul reffers to in Rom. 2:13 is a law that has been added to the law as an act (edict) of grace. Intriguing notion. I would like to learn more about this additional law. See Heb. 7:12, Gal. 3:19, Acts 7:53, Isa. 2:3, Micah 2:4. Have you ever pondered the question in Acts two “Brothers what shall we do?” It actually means “Brothers what shall we do about the sin of murdering the only beggotten son of the Living God?” The only correct answer is APOLOGIZE. The response a Gentile has is usually “WHO! ME! ?” Yeah you. For the Lord by being crucified has perfected his father’s will for each man. “And for Your lifeblood I will surely demand an accounting. I will demand an accounting from every animal. And from each man, too, I will demand an accounting for the life of his fellow man.” in regard to the fact that this man’s life has been lost by bloodshed. Do you rememder reading in Heb 6 about the two immutable things? The oath mention is the above quote the other and on the backside of the required demand is the added law of social conformity which makes the word REPENT two edged. For isn’t it true that when we have been made aware of someones death and meet some member of the family what do we say? Isn’t it “I’m so sorry for your loss?” Is this too hard for you to confess directly to God and be baptized into it? Doesn’t this Way to be granted mercy from God to escape from the penalty of eternal death seem more reasonable than “God I’m so very happy and glad Jesus was murdered in my place”? The gate into God’s kingdom is very small and narrow thing and there are only a few, a handfull or less, that ever find it. “Keeping the law? It’s easy. It is in your mouth.” Understand? Ah, Theodore, now I remember you. You were the guy who, six months ago, basically said I was dumber than an animal, on this very thread in fact. (I should’ve scrolled up – I didn’t realize we were still having that conversation.) Well my intelligence level has not changed much since December. I am still not sorry that Jesus came and died for my sins. Indeed, I am eternally grateful. For what it’s worth, I will try and address your point. You feel obliged to apologize to God for murdering His Son. This is a law to you; you must do it to be saved. God does indeed ask for a response from us, but it’s not an apology. Nowhere in the Bible do you find God asking man to apologize for killing His Son! You can only come to this conclusion by confusing the old covenant with the new and then making up some extra scriptures of your own. Jesus was not murdered. He laid down His life of His own free will (Jn 10:18). It’s the height of hubris to think you can murder God! More arrogant still is that you think you can make things right by apologizing for killing Him! This desire to apologize reveals a debt-mentality. You can’t pay God for His indescribable gift, yet you feel obligated to compensate Him in some way. You thus reveal that you have set aside grace and are choosing to stand on your own works. You are preferring to live under the law. Now the true law would silence this self-righteous pride of yours. It would bring you to the end of yourself. But you’re not living under the true law. You’ve invented your own law, an easier version. Only One Person was able to fulfill Moses’ Law, but your law is “easy.” Presumably anyone can keep it. You have thus made yourself a co-Savior with Christ. The answer to the “Brothers, what shall we do?” question is not apologize. It is, “Repent and be baptized, every one of you, in the name of Jesus Christ for the forgiveness of your sins” (Acts 2:38). In all seriousness, this is something you need to heed. God is not demanding an accounting for the shedding of Jesus’ blood. He wants to know if you will repent and believe the good news revealed in His Son. The new covenant of grace is forged in His blood, not your apologies. You have heard about it – this blood of the covenant that sanctifies – but you treat it as insufficient. You say, “His blood is not enough, I must perform! I must apologize.” Well, you don’t need to look far to learn what God thinks of that. Just read Hebrews 10:26-31. I did not murder God’s son so it is unreasonable to apologize for something I did not do. However. By making a change of the law the Acts 2:38 commandment is the word that has been added to the law and is law. All items of the written code were violated by crucifying the Lord. Therefore it became a sin by law not to confess directly to God that you are truly sorry Jesus lost his life when he was crucified. This is what Paul was referencing when he wrote “The law was added so the the trespass (of Jesus crucifixion) might increase.” Rom. 5:20 It was a grievous sin to murder the Lord by crucifying him and by adding to the law it became an even greater sin to refuse to apologize directly to God that you are truly sorry about what happen to his only begotten son. But since this has been required by law it is unlawful not to give your confession to God and you will commit a sin by law that is not forgivable. Jesus gives us three examples of how salvation works in the parables of the prodigal father,the lost sheep and the lost coin. Some might say that the lost son was sorry,but I would contend that he was just hungry. How did the lost sheep convey his sorrow in order to be forgiven? How did the coin convey it’s sorrow in order to be forgiven? Eph. 2:8-9 For by Grace are ye saved through faith;and that not of yourselves:it is the gift of God:not of works,lest any man should boast. The only thing the son and the sheep and the coin did to be saved was to accept the salvation. There were no strings attached. After all,when someone gives us a gift there is only one of two things we can do. We can either receive it or reject it. In the case of God’s gift of salvation,there are no qualifications. The gift is given to all. There is a roll that we play in our salvation and it is this. We can receive the gift,we can not receive the gift or we can reject the gift. There is no other role that we have in our salvation. I meant to address that to Paul…very well said. I pray Theodore heeds and is delivered from this confusion that is attacking him. p.s. hope this is under 250? i didnt count but it does look that big. The purpose of the law is to inflame sin. “The strength of sin is the law” (1 Cor 15:56). Some think that God gave us the law to help us overcome sin. No – He gave the law to help sin overcome us. “The law was added so that the trespass might increase” (Rom 5:20). Paul describes how this happens in Romans 7. Before the law came, he was ignorant of his sin problem. “For apart from the law, sin is dead” (Rom 7:8). The law agitated sin and brought it to the surface. “When the commandment came, sin sprang to life and I died” (Rom 7:9). Yes the law is holy, righteous and good – and spiritual. The problem, said Paul, is I am not (Rom 7:14). The law reveals the problem – sin – and points us to Jesus that we might be justified by faith (Gal 3:24). peace brothers and sisters in Messiah Yeshua. first i would like to say blessing be upon all of you and may God’s good grace abound upon you always! as far as pauls writtings about the law, wether in romans or galations, has been seriously mis-understood. paul NEVER teaches us that the law has been abolished! in fact he, paul is actually accused of this in the books of acts 21:21-24 where pauls vehemently defends himself against such accusations, but does go on to say that in regards to the gentiles that the law of moses was never a necissity for salvation. the gentile where never expected to be torah observant, however there where men who where out there teaching GENTILES that they had to be circumcized and keep the whole law(this mean oral as well as written) in order to be saved. so that give us a little more context about what paul is saying and why he is saying it. for there where gentiles being lead to beleive that Yeshua was not enough, that they had to accompany their faith with works of the law, when that was never true. and paul is making it clear that if you lean on your own effort, your own righteousness, you are going to fail, why? because we are not perfect! however at the same time this understanding in no way negates or does away with the Law, it only puts in perspective with regards to the finished work of Messiah…. James, I had to delete most of your 3000 word comment as it violated mt Comment Policy. I would be happy to publish any of your thoughts provided you stick to the guidelines. Hey James, if you notice in 1 Corinthians 9:20-22 Paul says “And unto the Jews I became as a Jew, that I might gain the Jews; to them that are under the law, as under the law, that I might gain them that are under the law; To them that are without law, as without law, (being not without law to God, but under the law to Christ,) that I might gain them that are without law. To the weak became I as weak, that I might gain the weak: I am made all things to all [men], that I might by all means save some.” So if Paul took that vow in Acts 21 it wasn’t because he was trying to keep the law to be in right standing with God but he did it to be in right standing with men, with his Jewish brethren. Just as James says in the book of James 2:18 – “Yea, a man may say, Thou hast faith, and I have works: SHEW ME thy faith without thy works, and I will SHEW THEE my faith by my works.” It’s about showing to men or brethren your faith in love for the cause of Christ by becoming one of them. Whether the guy is a rocker, a hoodlum, a jew, I will be like them so that they can relate to me and I can speak to them about Christ. First,no one could murder Jesus because he was and is without sin. The wages of sin is death,but he had no sin. Jesus voluntarily became our sin and took the beating we deserve. Unlike Elijah’s sacrifice that was completely consumed by god’s wrath (god’s wrath was greater than the sacrifice),Jesus took all of God’s wrath and judgement and survived. Our sacrificial lamb was greater than god’s wrath. HALLELUJAH!!! Heavenly Father,we thank you that it pleased YOU to CRUSH HIM,putting him to grief. We thank you that while we were yet sinners,Christ laid down his life for us. Thank you father,Thank you Jesus. well Paul, hi, if you don’t believe theodore’s whole reasoning, why don’t you believe him FOR THE VERY WORKS SAKE? what is wrong with being sorry for God’s death? He is right. the only reason any one cannot be forgiven is because they see that they have crucified Christ afresh and that means that they crucified him before. please heed, you know scripture. look up hebrews 6:6. I have been struggling with my salvation for a long time because i committed a heinous crime on top of more and more sins and finally was called back to God but i kept doubting and I actually was reading one of the gospels and i saw myself in the place of judas and it made me so sad. ithought i was damned. i read theodore’s words and it brought me to actually say that i was sorry. it is true. i have finally come to repentace, the true repentance. Praise God!!!!!!! Praise the Lord!!!!!!!!!! by the way, i humbly say that one of the things that felt it kept me hanging on all the time i felt damned was to know that i could not do anything without Jesus and to keep handing my life over. God bless you. May your heart be opened and may you see just how wretched a sinner really is. Carolyn, I am delighted that you have peace with God, but I do not agree with Theodore’s belief that justification is given to those who feel sorry or that God only forgives past sins. Justification comes through faith in Christ and his sacrifice paid for all my sins – past, present, and future. Some would have us beat our breasts and repent in sackcloth in Old Testament fashion. Hey, if that leads you to Jesus, then fine. It doesn’t matter how you come to Jesus as long as you come. But personally I’m with David who said, “Happy are those whose wrongs are forgiven, whose sins are pardoned! Happy is the person whose sins the Lord will not keep account of! Happy is the man whose sins have been forgiven” (Rom 4:7-8, GNB). John 10:18 Jesus wasn’t murdered,he gave up his life. Like Paul Ellis,I have a party every day to celebrate Christ’s death,burial,and resurrection. If I confess to our Father I am sorry for Jesus death,it would be the same as saying I’m sorry that I have been made righteous. I’m not sorry but glad. What was Jesus’ reply to Peter when Paul suggested that Jesus not go to Jerusalem in Matthew 16:22? Get thee behind me Satan. Jesus was not dragged to Jerusalem against his will. He was purposely moving toward Jerusalem to offer himself as the one, true ,final payment for sin. No one was going to stop him. It was his will to do it. It was our Father’s will that he came to do. This is clearly defined in Luke 19:10. For the son of man is come to seek and to save that which was lost. In John 10:18 Jesus says “No man takes my life from me,but I lay it down of my own accord”. Dying for us was his only purpose in coming. Be Glad! Thank You Father! I don’t understand why we are talking about being sorry for his death in relation to Romans 2:13. Paul is reminding them of what God said. If you obey the law,I will declare you righteous. He tells them this and reminds them that no one has done this or can do this. Paul Ellis’ explanation of the purpose of the Law couldn’t be any more spot on. Romans 5:20 The law was given so that sin would increase. The apostle Paul’s purpose isn’t to tell them they have to obey the Law. He’s reminding them,that they can’t obey the law,so they can receive the good news. What is the good news? The law has been fulfilled by one mans obedience. The payment for sin has been made. This is why Jesus is sitting at the right hand of the Father. He’s sitting because the work is done. While he is sitting,the Father is making his enemies his footstool… Because of what Jesus did for us,we can come to our Father with a clean conscience knowing that he sees us as he sees his son.Is Jesus free from condemnation? Yes. So are we in this world. Is Jesus strong and healthy? Yes. So are we in this world. Is Jesus receiving all of the provision,protection,and prosperity that the father has to give? Yes. So are we in this world. The work is done.Stop working for the things Jesus’ finished work provides us.As he is,so are we in this world. Believe it and receive it. In Jesus Name,Amen! Acts 7:52 “And now you have betrayed and murdered him-” Your statement Jesus wasn’t murdered is false. Here’s what Jesus says pertaining to his life. John 10:18 No man takes it from me,but I lay it down of my own accord. Theodore. What I’m seeing is that you are elevating the words of st. Stephen to the point of inerrancy. The Bible is the inspired Word of God, but Jesus is the inerrant word of God. His finished work and the love it bears. Stephen may have been pointing out simply (upon my recent reading of his words) that “pharisee brothers you killed him BUT he loves you. Believe in Him!” You have to elevate what Jesus did even above what Peter did (send death upon Ananias and Saphira) and Paul did (hand over a very immoral man over to Satan). Paul may have done it, but it’s clear to me that Paul is not God. God may permit it out of our weakness to handle, but how can guilt decrease sin? Maybe he was humbled by it. But fear is a short-term motivator. In Paul’s next letter, he called for reconciliation of this same man. Let you and me agree simply this: “Those who work for peace in a peaceful way plant a good crop of right living” (James). My God is a good God. He is love. It must breaks His heart to make war if he ever must do so. At the end of WWII, Winston Churchill felt he had accomplished nothing of value. Maybe he was having a bad day who knows. I do not know if I were able to may the same decision with that level of power and competing interests. If he had not shot into the sky, the sky would have feel on Britain annihilating it. I see some room for discussion here. Dude you have the words of Satan. You never seem to have an answer here for anybody giving you loads of scriptures showing you how Jesus offered himself to die cuz he wanted to!! you are just throwing up scriptures taken waaay out of context, mixing them up to make up your own little religion or religious views! trying to make yourself look like some elect person because you said “sorry”. So if we’re going to believe your claims that saying sorry gets you saved does that mean you said sorry AND also to keep the entire law, every single day, every single minute of your life never sinning any more, not even once?? You’re just as much of a sinner as anybody else in the world, that’s just the way it is. Are you serious with those beliefs? Or are you just trolling? saying things like when Peter told Jesus that he would not die and that he would not let that happen Jesus rebuked him telling him get behind me Satan. Do you know why he said that? Because Jesus wanted to give himself over to death, to save us from our sins- and Peter had Satan’s words in his mouth when he was, attempting to stop Jesus from going to the cross, because when Jesus went to the Cross he cancelled out deaths power. I think that’s pretty much the whole point of the New Testament. What are you Jehovah witness or something? You’re basically saying Jesus died in vain, woe to you for promoting that view.. The law Paul is referencing in Rom. 2:13 is not the Sinai code of law. Thank you so much on explaining this. This puts everything in perspective, we are justified by Grace through faith, not anything we can do. This is unbelievably good news! The actual purpose for the crucifixion of Jesus Christ was not knowable from any source prior to his crucifixion. 1 Cor. 2:7-8 If it had been understood why Jesus was to be crucified he would not have been crucified. Every holder and pontificator of the doctrine of substitutionary atonement always pits scripture against scripture to defend the doctrine. All of the following scriptures support the doctrine of substitutionary atonement. Gen. 22:13, Isaiah 53:4-6 ,Rom. 3:25, Rom. 4:25, Rom. 6:23, 1 Cor. 15:3, 1 Cor. 15:56, 2 Cor. 5:21, Eph. 5:1-2, Gal. 1:4, 1 Pet. 2:22, 1 Pet. 2:24, 1 Pet. 3:18, 1 John 2:2, 1 John 4:10. After reading your posts above my heart goes out to you. The “Good News” has escaped you. The demonstration of God’s love is seen as something to apologize for. His gift rejected. No they don’t you just erroneously think they do. Billions erroneously think as you do, but only a very few ever find the small narrow door according to Him. He says that after his murder the whole world remains GUILTY of at least one sin. Jn. 16:8 He did not die in place of that one. As for your sentiment; stuff it! You continue to talk about the narrow door. It’s the narrow gate that few will enter through. It’s obedience to the law that will allow few to enter God’s kingdom. Jesus is the door. Because of his obedience,many will be made righteous. All any of us have to do is open the door that he stands at and knocks on. There will be billions in Heaven. Nada. The actual reason why Jesus was to be crucified was not knowable or known form any source prior to his crucifixion, 1 Cor. 2:8, or he would not have been crucified. Billions in heaven? Only if hell freezes. In Romans 5:19 we learn that by the obedience of one (Jesus) MANY will be made righteous. MANY! How are we made righteous? By something someone else did. Is there any mention of what we must do to be made righteous? No.This is a very definite statement. We play no role in our GIFT of righteousness. If we read in another part of the Bible something that seems to declare that there will be few people in heaven,we must assume we are interpreting it wrong because there is no room for interpreting what Romans 5:19 is saying. There will be MANY people in Heaven. In Matthew 7:14 we are told that the GATE is small and the way is narrow that leads to life,and there are FEW who find it. This seems to say the exact opposite of Romans 5:19,but 5:19 is very definite and cannot be interpreted in any other way The gate is the law. What is being said here is ” If you want to earn your way into the Kingdom of God by your obedience,go for it”. Please be warned that FEW make it this way. It’s very important for us to remember the most basic part of our righteousness. IT’S A GIFT! and not that of works,lest any man boast. When we get to heaven,we wont be able to brag about how sorry we were because our righteousness is a GIFT. Again,Jesus is the door. Many people will enter the Kingdom through the door. I see that Theodore, has not professed anything, but is only quoting scripture he has no spirit led understanding of. His attitude and his internal being is summed up in his statement of ( stuff it ). Not Christ like at all, it is my sincerest hope that Yahushua will reveal to him what he is so desperately seeking. Please I am confused can you please tell me exactly law Paul was talking about?? So when we talk about the ‘law” verses grace – are we just talking about the Ten commandments? Or are we talking about the Mosaic Laws as well? Someone asked that question the other night at our house group, and i think it’s all of them. Anything that requires us to ‘do’ something to be righteous, instead of looking to Christ. Am I correct in this? Does any of your posts discuss this aspect and explain this Paul so i can take a clarification back next week that might help them to grasp it better? The law can be anything that one does in the hope of being justified/sanctified/blessed, etc. The condition of law v grace does not exist in the Bible. That issue exists because of two competative eccleastical interpretations which are both incorrect. Both Rccism’s and Protestantism’s soteriological conjectures are wrong. No man’s murder is a direct benefit. Mathew 17:1 Jesus took peter,James,and John up a tall mountain. God didn’t tell the disciples to hear THEM,after all there were three people standing there. This is an example of law verses Grace. God didn’t tell them to listen to the law. He told them to listen to GRACE. Romans 4:13 tells us that the promise given to Abraham and his descendents to be heirs of the world was not through the Law,but through the righteousness of faith. Romans 4:14 tells us that if we think keeping the Law make us righteous,faith is made void and the promise is nullified. Romans 4:15 tells us again that the Law brings wrath,but where there is no law,there is no violation. These are three more examples of Law verses Grace. If we believe we are justified by the Law,we are told many times of the bad things that will be to come. Romans 3:28 tells us that we are justified by faith and not the Law. This is the main focus of the new testament,to show the difference between the Law and Grace and to warn us about what will happen if we try to keep the Law in an effort to be justified. We are justified by faith and faith alone. This is the good news that sets us free. The bible -strongly- uses the words repent, lasciviousness, backsliders, pernicious quite a few times. And tells us to repent and stay clean quite a few times. I think some of you are twisting this whole grace deal into something it is not. Just repent for it. And yes people have heard the call to become evangelists and totally ended up false teachers because they let fallen angels live inside their body! I don’t care whether we are in India or the United States, just don’t sin. I’m a Judaizer in my own right, neither Catholic nor protestant. Am helping to bring about a new non denomination to worship on Saturday, same as Jesus, go figure, same as our high priest. I can explain Judaizer. Well yep you best believe they’ll lie to you over the course of 2000 years, about lots of things. I believe Peter and James wrote Acts, so Christ’s disciples concurred that it was important for early Christians to eat no blood(kosher? ), and not fornicate, etc. I can’t just pull one word out of Paul’s ministry and say oh good now sin justified for me, (drunkards) fornication, witchcraft, Corinthians 6, justified, is that what he’s saying, never. I just don’t sin, I repented and meant it, I’m easily 10 times the wimp I was when I was a sinner so I don’t need anyone to tell me I’m not forgiven. Oh yeah and faith is not witchcraft is basically all of reality, that’s basically the bigger picture Jesus taught us. You know I was just thinking, I know this grace thing just as good as anyone else. So I think the question we are getting at is, do we lie to our children, and newcomers? I think it is important for them to know the disciples concurred, eat no blood, and do not fornicate, do these things and you shall fare well. These are Christs disciples, and in my opinion higher than Paul, an ordained minister. I don’t think there is a thing wrong with being a Judaizer, there are really only two more laws to follow, wear materials made 100% on the loom, and eat kosher, and you’re following every law in that book. And no tattoos, though I believe the Gentiles will come to be for given on the subject of tattoos. Then would we be a holy nation of priests that God asked of us? I do not think Moses law was cruel, i think people were too evil to live by it, so newcomers have grace instead of being stoned by hypocrites, and we don’t need animal sacrifices to atone for sin. Tattoos for Gentiles are really a good example of people just coming to learn better than what the world has taught them, not a big deal, just obvious now that tattoo shops are full of druggies and at the very least fornicators that never repented for any of it, are they bringing in the world to come? We need to grow up the bible says don’t sin. That was their life now use what you learned and you have a good one now ya here? If our savior came to the earth to dwell among us,for the first time today,he would habitually hang out with tattooed fornicating druggies. Once the average sinner receives God’s grace,he sticks out his bony finger to point out the behavior of other people and claims that their bad behavior is proof of their impending condemnation. The problem with this logic is that they forget that their good behavior didn’t save and could never have saved them. They were saved by someone else s good behavior and didn’t deserve it. It was a gift offered to all including Hitler,Stalin,and the apostle Paul who called himself Chief of all sinners. The apostle Paul killed and condoned the killings of Christians. For this he and he alone was given the Gospel of Christ Jesus. He referred to it as “My Gospel”. I don’t even want to think about what might have been if the apostle Paul would have been foolish enough to have gotten a tattoo. Where sin abounds,God’s grace super abounds. When we receive this truth,it sets us free. I was doing my bible study this morning and had to pause after reading Romans 2:13 and Romans 3:20. This post was very helpful and definitely shed some light on the context! It’s still a tiny bit over my head but I have enough to go on now that I can pray and ask for God to further confirm what he is teaching me here. Thank you, Paul. Paul said to keep the commandments. 1corinthians 7:19. Jesus said keep the commandments, Matt 19:17. THE MORAL LAW!!! The circumcision law is of none effect, also the laws contained in ordinances that are against us, man made laws. Matt 22:40 Jesus said loving God and your neighbor were the greatest of all the commandments and on these two hang ALL the law and the prophets. 1john 3:4 sin is the transgression of Gods law. 1 John 5:2-3 keeping Gods commandments show our love for him, and it’s not burdensome. I agree, our fruit will be shown by our measure of faith. Good post! This is the best news ever! May the Spirit enlighten your hearts and understanding! Its all in what Law we are talking about…..and this is another of the over the top Good News scriptures. Abraham was justified by faith alone, than came law later and now we’ve come full circle back to faith in God like Abraham again through the sacrifice of the cross ! So just be like Abraham and walk in that faith ! The bible didn’t say rather Abraham did bad things or good things all of the time ! It says he was justified because he believed in God ! If we are Abraham’s seed we will be just like that !